If you have settled on California for your next holiday you might be trying to now narrow down where to go and when. California is a great state for a number of reasons and many of its cities and towns are ideal for people looking to combine a getaway with some varied activities outside or in. For those who don’t know where to go for their holiday, why not read ahead and see what makes San Diego great and when the best time to visit is. 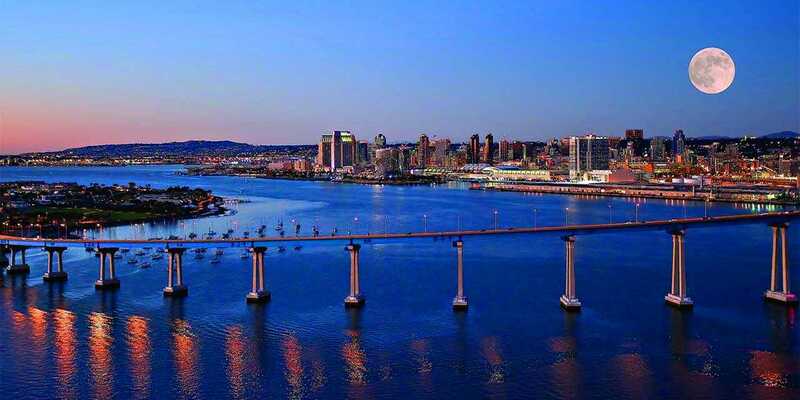 San Diego is a city nestled right on the coats in the very south western corner of California, bordering Mexico, making it a great place to base yourself, especially if you are a bit adventurous and want to take a day trip south of the border to the Mexican city of Tijuana for gambling and cheap beer and general frivolity. San Diego is home of a great bus and trolley system, but due to the sprawling nature of the metro area, car is by far the best way to get around and further afield. Bicycles are also popular in the area, so it could be a good way to get some exercise as well. The city is home to a couple of colourful districts, including the beach district as well as downtown. Ocean Beach, Pacific Beach, La Jolla and Mission Beach are the top picks for beach going visitors. If you’re coming primarily for the beaches, avoid May-June when the weather can be gloomy and grey, and instead head to the city in July, August or September when the weather is more beach favourable. Aside from beaches, San Diego has a bustling and varied microbrewery scene which seems to evolve monthly. The San Diego Zoo is one of the most famous in the world, and Sea World is well known as well, making this a great city for families looking to get out and around. Likewise, San Diego has a number of great museums such as the Air & Space Museum, the Children’s Museum and the Natural History Museum to name a few. San Diego is well placed for day trips to other areas such as Los Angeles to see some of the Hollywood sights as well as getting to Anaheim for those looking to go to adventure parks such as Disneyland or Knotts Berry Farm. So there you have a couple of great reasons to come and check out San Diego and when the best time to do it is. Generally speaking September is the best time to visit if you still want warmth, and the added benefit is many children will have gone back to school by then so you’d be looking at less lines and some lower prices in many places for things. Enjoy!